May 4, 2012 September 16, 2014 / Julie Brook, Esq. Under California law, anytime a defendant is charged with a crime of domestic violence, the court must consider issuing a criminal protective order on its own motion. These orders are generally characterized as “no contact” or “stay-away” orders. Many victims and even defendants ask the court to modify its order to permit peaceful contact, as we recently saw in the case of San Francisco Sheriff Ross Mirkarimi. 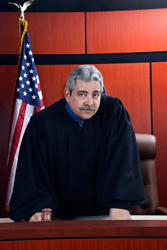 Courts consider many factors in deciding whether to grant the modification. If a modification request to a stay-away order is made early in the criminal proceedings, the prosecutor gets involved. See Pen C §1203.3. But when the prosecutor is not in court to respond to a modification request, the court is left to decide whether to grant the request based on what is often limited information. Victim’s identity. The court should require that satisfactory evidence of the victim’s identity be provided, such as a driver’s license or identification card. The reason for the request. Sometimes victims misunderstand the terms of a criminal court protective order. They may believe that the order prohibits any contact between the defendant and his or her children, even though the order is actually made subject to a future order of the Family Law Court. The court can explain that the defendant does, in fact, have a lawful way to request visitation with the children. Victims also may believe that their own conduct is constrained in some way. Asking why the victim wants the modification may reveal a misunderstanding that, once resolved, allows the victim to be comfortable with the order as it stands. Threats or coercion. Someone—preferably not the court—should ask the victim if he or she has been pressured or threatened by the defendant or the defendant’s family members or friends to make the request to modify the court order. Obviously, if this line of questioning occurs in open court in front of the defendant and his or her family or friends, the victim may be reluctant to answer in the affirmative. Victim participation in support groups. The victim should be made aware of local domestic violence support groups and should be encouraged to participate. Development of a safety plan. A safety plan is a comprehensive set of safety measures that a person in a battering relationship can take to enhance his or her future safety. The court should not inquire in open court about the victim’s safety plan because doing so can further jeopardize the individual. Ideally, a victim’s advocate or the prosecutor should discuss the need for a safety plan of action with the victim. Defendant’s participation in a batterer’s intervention program. The court should determine whether the defendant has begun participating in a batterer’s intervention program on a pretrial basis. If the defendant is already on probation and is required to participate in the program, the court should review the file to determine whether he or she is in fact attending the program. If the case is so new that the defendant’s progress can’t be determined, the court can encourage the victim to consider leaving the order in place at least until it can be determined that the defendant is complying with the terms of probation. Consider the impact on children if renewed contact is allowed. Although the victim might want to renew contact with the children, the court should consider the impact on the children in the home, particularly if they witnessed or were involved in the violence. Further, if the family has an open case with Children and Family Services, that agency will sometimes remove the children from the home if the criminal court protective order is modified to permit contact. The setting in which these questions are asked can have a powerful impact on whether the victim answers candidly. Courts approach this need for honest information in a variety of ways. For example, a court might request a waiver of the defendant’s appearance and then interview the victim in chambers with the proceedings reported but ordered sealed. Alternatively, a court might request the probation officer to conduct the interview. If a domestic violence counselor is available, the court might use his or her services for this purpose, which is particularly helpful because a certified domestic violence counselor can assert a privilege on behalf of the victim so that information provided by the victim can remain confidential in most circumstances. Finally, the court might simply ask these questions of the victim in open court. Although it is true this last approach is the most expedient, it may be the least reliable if the defendant is present in court to hear the victim’s responses. For complete discussion of criminal protective orders, turn to CEB’s California Judges Benchbook: Domestic Violence Cases in Criminal Court, chap 3. Counsel who represent clients in criminal domestic violence cases should also be mindful of whether any parallel Domestic Violence Prevention Act proceedings are pending in family court, including related child custody matters. For a helpful discussion of DVPA matters, see Practice Under the CA Family Code: Dissolution, Legal Separation, Nullity (Cal CEB Annual). Jon Heywood, Publications Attorney, C.E.B. How do I go about modifying a restraining order from no contact to peaceful contact in 2 separate counties?